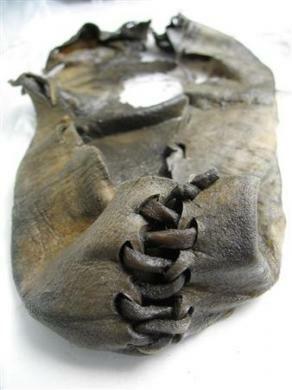 3400 year old shoe from a Norwegian ice patch. Source: Reuters. It’s interesting to see some ice patch archaeology emerging in Norway now. Reuters has a good story and short video about some cool finds from 1800 metres above sea level in the Jotunheimen Mountains, which lie northeast of Bergen. The most spectacular find is the 3,400 year old leather shoe, shown above. We’ve looked at the exciting finds from melting ice patches before on this blog so they may not need a lot of introduction: ancient hunters would target large game which sheltered from the heat and insects on these fairly static patches of ice. In so doing they left behind a material record which quickly became frozen into the ice itself, thus preserving organic technologies which seldom preserve otherwise. Now, with global warming, these artifacts whch were deposited on ice are melting out for the first time, some of them after many millennia of continuous freezing conditions. Most of the current research on this topic has been from the Yukon, from the Northwest Territories, and Alaska, though arguably there is a lot of potential elsewhere in western North America, especially British Columbia. So I was pretty interested to see a news report from the University of Colorado on a birch wood atlatl dart (the projectile shaft associated with a spearthrower) from the Yellowstone area, which dates to a remarkable 10,300 years ago. 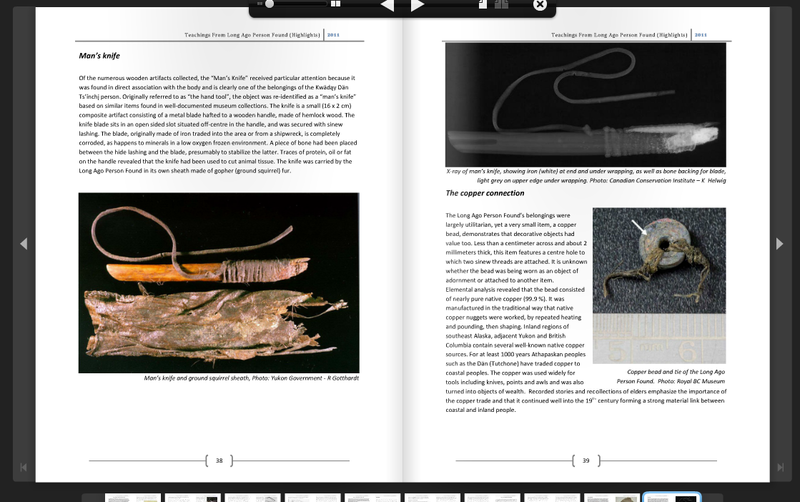 At the University of Colorado website there is a good press release and an informative video on the find. The video incorporates some National Geographic footage (some of it cheesey) which overall gives a good idea of the context of the find and its importance. In the video you can see what is interpreted as a split U-shaped haft element which presumably received a stone projectile point. Unusually for atlatl technology, this would imply there was no foreshaft. The date of 10,300 is presumably a calibrated date which would make it about 9,250 14C BP – around one thousand years older than the oldest reported Yukon ice patch material. The video also has glimpses of other finds which are not discussed but which whet the appetite! 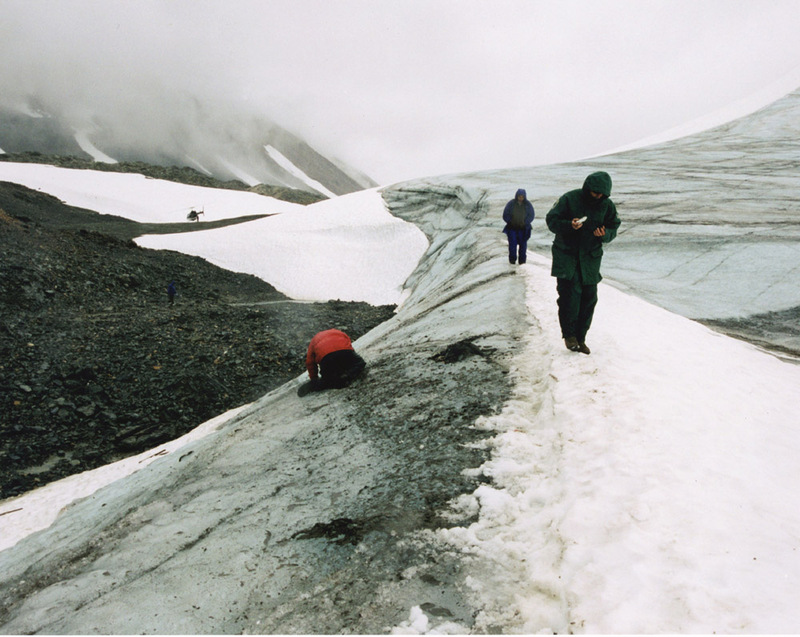 And, by the way, the National Geographic web site has a clip about Alaskan ice patches which gives a great overview of the fieldwork and the finds. The lead researcher is Dr. Craig Lee of the University of Colorado / INSTAAR, who is also known on the Northwest Coast for his Ph.D. dissertion on microblade technology from Southeast Alaska and PET-408 / On Your Knees Cave (I have a PDF of this but can’t find it online, I think Craig must have sent it to me directly). Some news reports (not many news items on this yet) suggest the find was made in 2007 and the date was obtained in 2008 and then embargoed because of publication restrictions imposed by a journal. A quick check on Web of Science doesn’t turn up anything new on it (though “in press” material likely wouldn’t be there yet), and it is not that easy to sift through all the surname “Lee” folks who publish in sciencey journals! An important point of added interest in the additional report (oddly, not the UC press release) is that Lee and his colleagues have received a 3 year grant worth US $651,00 to investigate ice patches in and around Glacier National Park, just south of the BC-Alberta border. Congratulations Craig! This amount of money is impressive, though I can imagine how expensive the combination of high altitude helicopter time and numerous radiocarbon dates will be. For us in BC/Canada, we can only dream of such riches: as I have noted several times, bafflingly there has been essentially no research on this topic in British Columbia. Craig’s money is coming from the US National Park Service, who take their cultural resources much more seriously than we do – I mean, Parks Canada archaeologists do a great job (as I know very well, having just been on a month long field trip with them) but the importance given to archaeology in National and, especially, BC Provincial Parks pales in comparison to what the Americans do and no one is throwing C$651,000.00 or even C$651.00 at this urgent Cultural Resource Management problem in this country. Anyway, I really look forward to seeing what comes out of this promising study. Cheesy depiction of the Ice Free corridor from the National Geographic video clip. Source: U. Colorado. 340 year old bow made from willow wood - bow was found in multiple fragments. Photo: Tom Andrews via livescience.com. In many parts of Northwest North America glaciers and ice patches are melting at unprecedented rates. In some cases, these are revealing extraordinary archaeological remains, as I have noted before for Alaska. There’s recently been some short news reports about new finds in the Northwest Territories, to add to the substantial work already done there. Most of these reports rehash the same news release from the Arctic Institute of the Americas, which sponsored the research through International Polar Year funding (now ended). Only a few sites have photos, though. Arrow from Tsitsutl Peak Glacier, Western B.C. 400 year old arrow or dart from Tsitsutl glacier, B.C. Source: Keddie and Nelson: 2005. In 1924, a land surveyor found an arrow at an elevation of 2,100 metres near Tsitsutl Peak in west-central British Columbia (map). The arrow made its way to the Royal BC Museum where it lay for over 80 years, until a timely inquiry and increased awareness of ice-patch archaeology stimulated a small research program. This research, initiated by RBCM curator Grant Keddie and reported in the Canadian Journal of Archaeology (Keddie and Nelson 2005), establishes that the arrow is about 400 years old.